Soil is a mixture of minerals and organic matter and supports most of a plants life. It is impossible to overstate the importance of maintaining good, healthy soil. Good soil is the first step to having great plants! 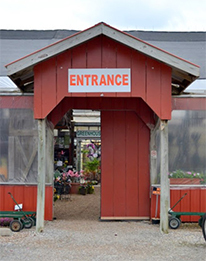 Whether you need to add top soil, composted organic material, soil amendments, or a combination to improve your soil texture and composition, Daniel’s has what you need. We have topsoil available in bulk or bag, several varieties of compost, available in bulk or bag, and soil amendments to condition your soil. See our compost page for more info on soil amendments. Our natural topsoil is a sandy loam from Troy, Missouri. 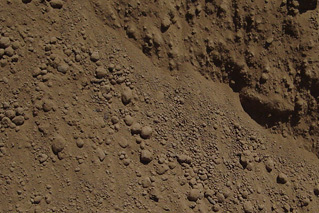 The sandy loam mixture retains minerals and water, while still allowing excess water to drain. It is good for planting, filling, and replacing clay soil. We sell our topsoil in 5 gal. size bags and in bulk by the cubic yard. Topsoil is not guaranteed to be weed free. We also sell a topsoil/compost mix in bulk or bag that is perfect for your gardening needs. This mix is 70% topsoil and 30% compost. Many customers prefer the topsoil/compost mix due to the convenience of having the compost already mixed and added to the topsoil. When adding soil that will be used for planting we recommend adding compost or purchasing our topsoil/compost. Compost adds organic material and abundant microorganisms which is very important for the health of the soil. Use when adding soil to any area that you will be planting in. Use when you do not want to mix in compost yourself. To determine how much topsoil you need the first step is to calculate the area. This will tell you how many square feet you will be covering. Different shaped areas have different equations you must use to calculate. For oddly shaped beds use your best judgment to break the bed up into shapes that can be measured. Then the area of each bed can be determined separately and added together. Remember, if you have more than one area, always calculate the area of the individual beds separate and then add the areas of each bed to find your total. NEVER add all the lengths and widths together and then multiply. You will wind up with a misconstrued calculation. Example: 50 ft² / 100 = 0.5 This bed would need 0.5 cubic yards of topsoil. Example: 706.50 ft² / 100 = 7.07 This bed would need 7 cubic yards of topsoil. Remember, you can always call us if you need help determining how much topsoil you need to cover your area! Our bagged topsoil is our topsoil/compost mix. One bag contains approximately 5 gal. It takes about 30 bags to equal a cubic yard. To determine how many bags you would need, follow the steps above to first calculate your area and how many cubic yards of rock you would need. Then multiply the cubic yardage by 30. *Due to the heavy weight of topsoil, the amount your truck can safely transport is less compared to mulch. We can deliver 4-5 yards of topsoil in our truck. Typically we dump on the driveway per customer instructions. We do our best to accommodate your desired dump spot for the topsoil but always leave it to the discretion of the driver. We do not drive into backyards. Because we cover our topsoil, we may still be able to load or deliver after a rain. Call us to find out!